Is this with a recent version? I remember there was a bug with losing fuel on loading at some point, but it was fixed a few versions ago (don't remember when exactly off the top of my head). Also can you check that all fuel tanks are in the same chunk as their respective turbine controller? It shouldn't matter in theory but minecraft chunk stuff can do weird things sometimes. If they are in different chunks, try moving them and checking if it solves the bug. I'll let you know any finding, thanks for your promptly answer! Mismatched versions of BDLib and this mod. Either use release of both, or use the latest alpha of both. What's new in the recent release? There's changelogs with every release. Hi Bdew, wonderful and elegant mod! I'm using this modular generators along with Buildcraft, Galacticraft, QuarryPlus, etc. without a glitch! and with the latests refinings (the efficiency ones) the generators are even better!! 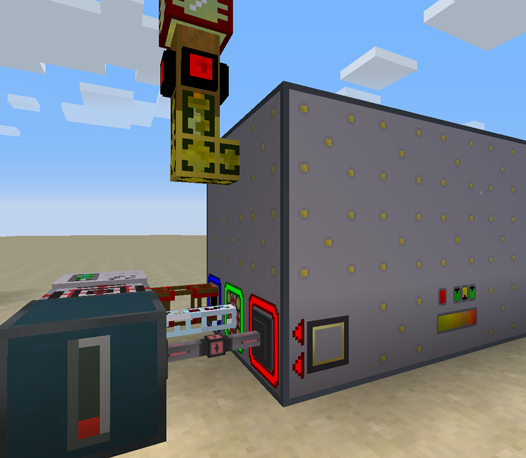 There will be a module that connects to CC/OC computers and provides direct access to this information in the future. For now if you have something that can read fluid and energy level using the standard APIs - you can point it to a fluid intake or flux generator modules and it will give some basic information. Is it safe to input different fuel types simultaneously by different fluid intake valves? And how in this setup fuel tanks will be distributed? Is it possible to preprogram tanks to use selected fuel type only? Or attach in generator's GUI tanks to valves? The generator runs on one type of fuel at a time, eg. if you pump in syngas - you won't be able to insert ethanol until the syngas is used up. It's "safe" in the sense that it won't break anything - it will just not be accepted. For everyone that has MC crashing: use the most recent version of BdLib.